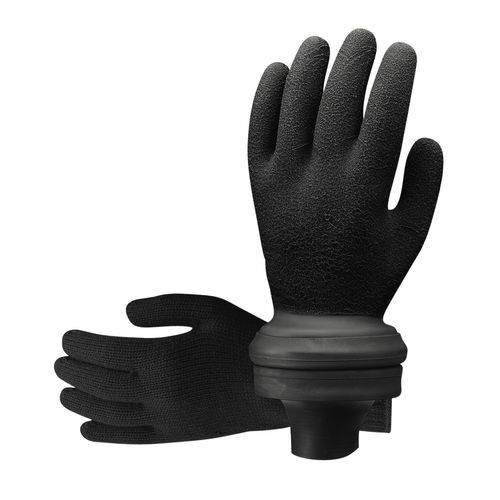 The EASY DON DRY vulcanized, elastic-cuff latex glove is an easy way to keep hands toasty warm and totally dry. The glove can be used with drysuits, semi-drys and wetsuits for those extra-chilly days at depth. Self-donning and extremely comfortable while maintaining good finger dexterity, the EASY DON DRY is completely waterproof and can be mounted either over or under your dive suit's wrist seal. Included is a separate knitted glove liner for additional warmth.